Apple will announce its earnings for the second quarter tomorrow, and many investors will be looking for strong growth in the company’s services business, which includes Apple Music, iCloud, and Apple Pay. Some believe that Apple could report $9.2 billion in services revenue, a 27% increase over last year’s June-ending quarter. Apple is one of a handful of tech companies (along with Amazon and Microsoft) that has a chance of achieving a $1 trillion valuation. Reaching that milestone in the near future, however, would require a stellar earnings report tomorrow. And the company’s best chance of such a coup is through a big increase in services revenue. 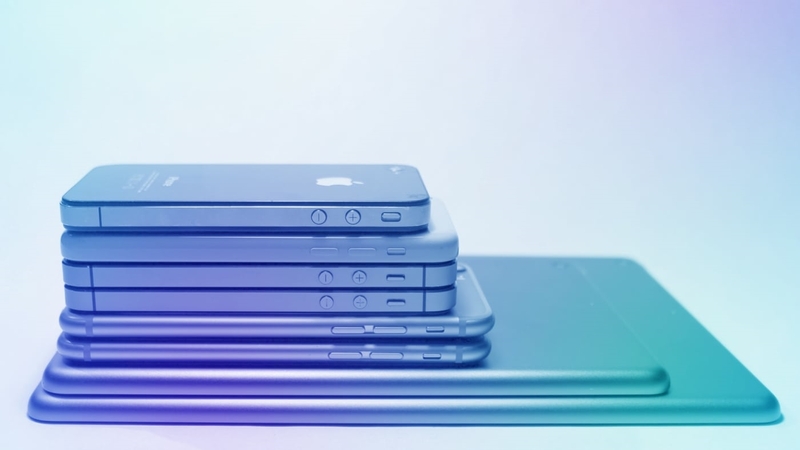 If services represent Apple’s future, then iPhones represent the company’s present. Before the March quarterly earnings report, anxieties were running high that Apple’s flagship phone, the iPhone X, wasn’t selling well–possibly because of the device’s $1,000-plus price tag. Then the results came out, and they told a very different story. Apple sold 52.2 million iPhones during the quarter, beating analyst expectations of 52 million. The Average Selling Price (ASP) of the phones suggested that a healthy amount of the sales came from the iPhone X. The second quarter is a seasonally soft quarter for iPhone sales, and analysts are expecting Apple to sell about 42 million phones. The results could say a lot about the staying power of the X, given the fact that it’s been widely reported that Apple is expected to announce three new phones in September, some of which will be similar to the iPhone X but have a lower selling price. Overall, Apple has become a more predictable company in the past year or so. The company said last quarter that it expected revenues of between $51.5 billion and $53.5 billion. Thomson Reuters analysts expect a result right in the middle of the guidance range, at $52.3 billion. Apple reported $44.5 billion in revenues in last year’s second quarter. Above Avalon analysts Neil Cybart points out in a recent research note that Apple’s stock has seen a marked decline in volatility over the past three months, meaning there’s less disagreement on the future performance and value of the company. From April to June, Apple’s overall trading volume was down 20% versus January to March, Cybart says. “Despite the lack of volatility, Apple shares are up a strong 13% since 2018 earnings (S&P 500 is up 6% during the same time period),” the analyst writes. Nor do most Apple analysts, Cybart included, seem anxious about the possibility that Donald Trump’s brewing trade war with China could negatively impact iPhone sales, despite media reports worrying about the contrary. “The ‘China versus U.S. trade war’ headlines that have been plastered on CNBC seemingly every other day have amounted to nothing more than noise,” Cybart says. Will the iPad continue its hopeful sales numbers from the past two quarters (Apple sold 9.1 million of them last quarter)? Will we hear evidence that the Apple Watch is continuing to grow (Apple doesn’t yet break out Watch sales from its “Other Devices” category)? Cybart believes Apple will sell 3.8 million Watches in the quarter (up 40% year over year). Will Apple continue to report growth in its Mac business? It reported sales of 4.1 million of the machines in the March-ending quarter, a 2% increase from the year-earlier quarter. We’ll have the news and commentary when Apple announces its Q3 earnings after the bell tomorrow (Tuesday).